A community development professional, dealing with all levels of the community. I have had extensive experience with businesses, community eg. Chambers of Commerce, researchers, and industry organisations. In my previous role as the community officer at the Cotton CRC I helped organise three successful Sustaining Rural Communities conferences and attracted over the three years $120,000 worth of sponsorship. For 12 years my business has been home based, designing and developing websites for small and large businesses Australia wide. With 60 clients across a wide range of industries and businesses including catering, solar, agriculture, networks, small town sites, water and community. In 2006 was the winner of the Rural Industries Research and Development Corporation - NSW Rural Women's Award. 2012 a business office in Wee Waa opened offering marketing and advertising online to small and medium businesses using the websites www.weewaa.com and www.narrabri.net and now www.namoibusinessdirectory.com.au. We have added www.namoinews.com.au and namoicalendar.com.au to the portfolio. 2015 KateS On Web formed a partnership with Indian based company Jha Technology pvt ltd WebTech4RIndia. To supply DNN skins and designs, which brings a large range of designers and developers together to supply an original and unique product at reasonable prices for small business. 2017 KateS On Web has been able to maintain a great relationship with Jha Technolofy pvt ltd WebTech4RIndia and offer other services such as e-commerce websites where we have started small to help those with only a few products. This has developed over the last few years to larger shop fronts offering more products. 2019 KateS On Web has extended the relationship and now includes SEO Site Engine Optimization as a Service for its client base as well as other websites who require a reasonable priced product in the market place. 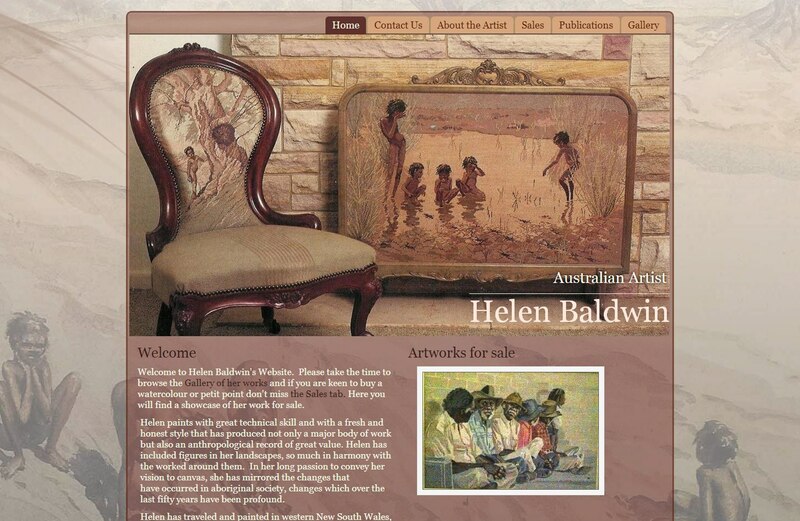 Webmaster for the following Websites weewaa.com, narrabri.net, namoibusinessdirectory.com.au, calendaronline.com.au, helenbaldwin.com.au bizcomhub.net. If you would like to received Kates On Web Monthly E News Click here to subscribe. You will be able to unsubscribe anytime from the bottom of the newsletter and your information will be kept strictly confidential. If you are thinking about printing, new signage or embroidery for shirts and other items for your business please support Simply Stuck. It is hoped they will move to Wee Waa in the New Year. So I want everyone to support them to make this happen. They recently moved to Boolcarrol and their daughter attends St Josephs. A new business in town would be extremely good for the community. Their website will be ready shortly as Kates On Web and Ligante are working on it. Kates On Web works with lots of different developers to bring customers a very reasonably priced outcome. We offer different plans for different jobs all using the DNN Program Websites and E-Commerce with discounts and payment plans to accommodate small businesses and organizations that are facing cashflow shortfalls. Why not use a local person in Narrabri, Moree, Gunnedah and Wee Waa to manage the development and design of your website? We have global connections that we can source to get a better outcome for all. Launched in October 2012 this is a Sydney based blues band www.bluevenom.com.au great sound worth a listen if you like blues and are a fan of Creedance, Cold Chisel, Deep Purple and Guns N" Roses. Wee Waa Chamber of Commerce have a website of their own now. After being on the Wee Waa website for many years the Chamber have taken the Not for Profit discount with Kates On Web to secure themselves a website. Kates On Web offers Narrabri and Wee Waa not for profits a number of plans, one of these being the starter plan with a not for profit discount. If you have a Not for Profit organisation who needs a professional web presence and content management system. Why not contact Kates On Web to develop and design your website. Wanting to advertise your business in the Narrabri and Wee Waa areas. Why not start with a banner add to promote your business with the Wee Waa and Narrabri sites. What better place could you find to promote your business then on these two sites. We now also have available across all the websites the Namoi Business Directory If you advertise on any of the sites you will automatically go into the directory. Advertising schedule can be found here it is the same for both websites. Struggle with an online presence. People Google these days and you need to be on the net. Why not give us a call and we can find you an easy solution without the hassle. Copyright © KateSonWeb 2012. All Rights Reserved.